Worldwide audiences have been captivated by these two powerhouse talents for years. Performing an open catalog of amazing music, this show draws from great music from many genres and artists and re-creates some of the most popular music of all time. Eric's diverse and mesmerizing guitar abilities along with his rock and roll roots vocals pair perfectly with Jenn's virtuosic piano skills and soaring vocals. 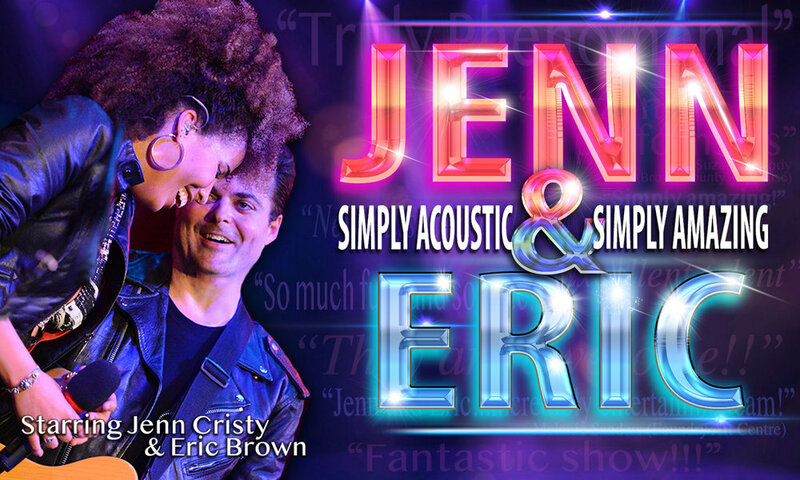 The show, "Jenn & Eric: Simply Acoustic, Simply Amazing”, features a multitude of musical sensibilities (Rock, Pop, Blues, Folk, originals...) but shares a common thread of being performed with the enthusiasm of talented music lovers.